Another great article from Marjorie Hollman! 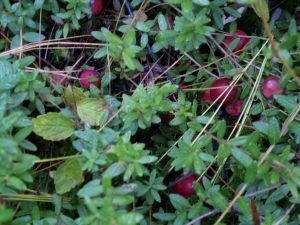 Many years ago my friend Ellen Chagnon walked with me in the sandpits behind Silver Lake in Bellingham, MA and said, “It feels like there should be cranberries…right here,” as she bent down and picked a wild cranberry. Thus began my love affair with wild cranberries. I have returned over the years many, many times to this spot, and others like it. 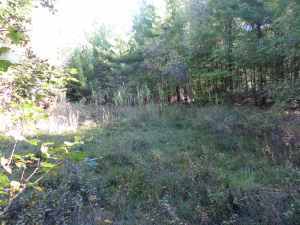 I’ve found wild cranberry plants along the Pamet Trails at the Cape Cod National Seashore. We’ve enjoyed cranberry blossoms in spring at Acadia National Park, Mt. Desert Maine.